Fallen Outdoors Kayak Anglers is a Veteran based kayak fishing group branched off The Fallen Outdoors. 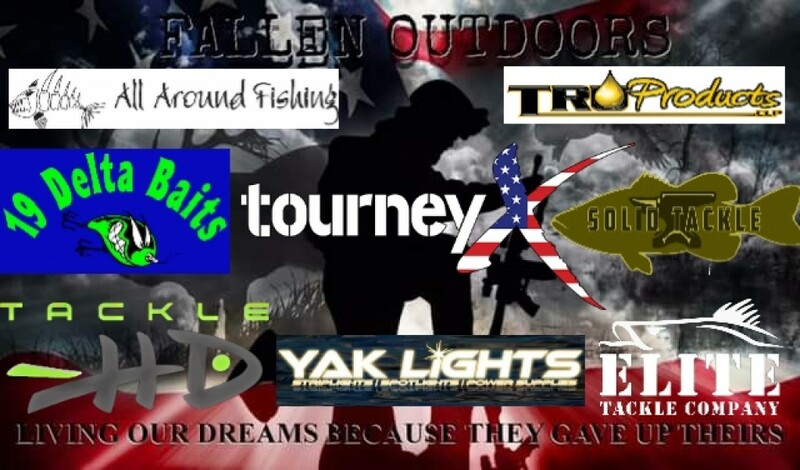 The Fallen Outdoors (TFO) is a 501(c)(3) Veteran based hunting and fishing organization open to all branches and every Service Member past or present. TFO establishes a network of Military outdoorsmen and women across the nation that is both physical and social. Physical being that we have teams in 40+ different states that are all Veterans. These teams take Veterans on trips, whether they are planned months in advance or just spur of the moment. We also work with landowners, guides, outfitters and civilians who want to help out Veterans. By doing this we are able to offer a wider variety of trips to our Veterans. We also work with WTU, Veterans with needs, and Gold Star families. But what makes us different is that we are open to any Veteran past or present as long as they are currently serving or served honorably in the past. Our mission and our goal is to get as many Veterans as we can into the outdoors and share our passion and joy with them in hopes it becomes their passion as well. Our motto is "living our dreams because they gave up theirs"